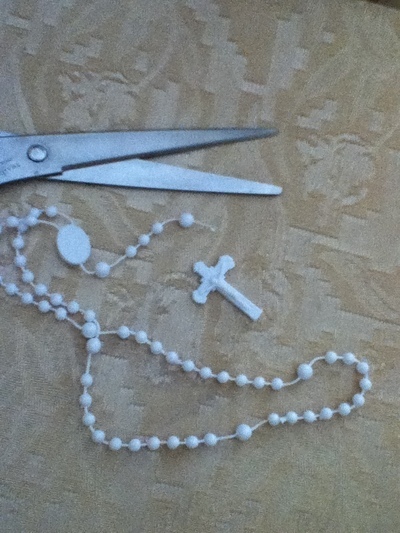 We always receive those little chaplets from christian charity houses, and last night mom said she was going to clean out a cabinet of hers, and found a bunch of these. 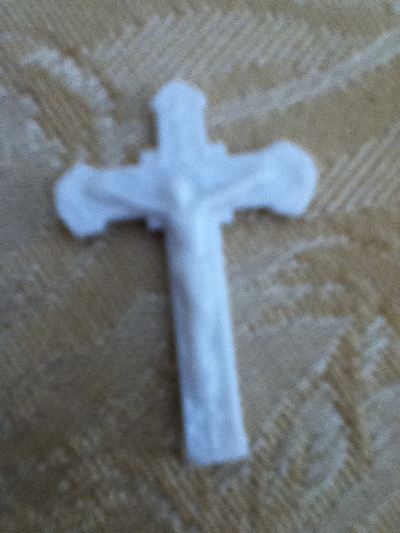 In 10 years I may get featured on "hoarders"
Cut the cross from the rest of the thingy. You can paint it if you wish, or add glitter or Idk, but I left mine the way it was. 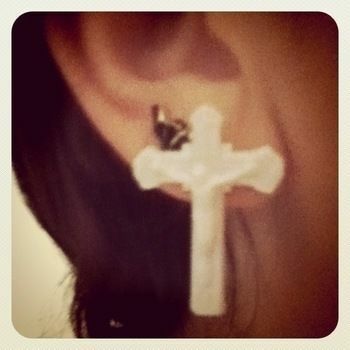 Glue the cross to the earring post and let it dry. You can make them dangly if you wish, just let a small bit of "rope" when you cut it off from the chain of the chaplet and attach it to a fishing hook.